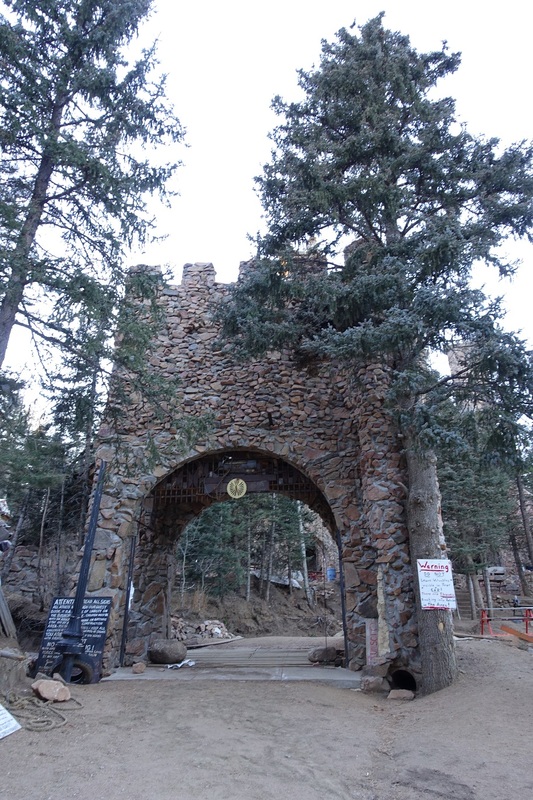 Last weekend, at the suggestion of a friend, we drove down to Bishop’s Castle, which is about a 2½ hour drive from Colorado Springs. Bishop’s Castle was basically built by a single guy, named Jim Bishop, over the course of the last 40-50 years, in his spare time. In fact, he is still working on it. The architectural style can be described as whimsical, with several fairly scary staircases in either stone or metalwork. 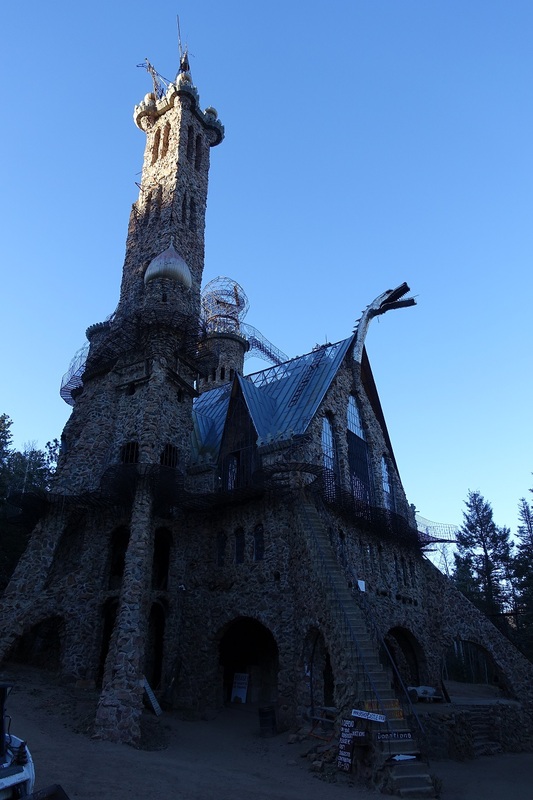 There is also a very cool dragon chimney, although it was not lit and smoking when we were there. There is also a gatehouse with a portcullis, which would probably be fairly deadly, based on the large rock attached to it for weight. This goes over a yet-unfilled moat. 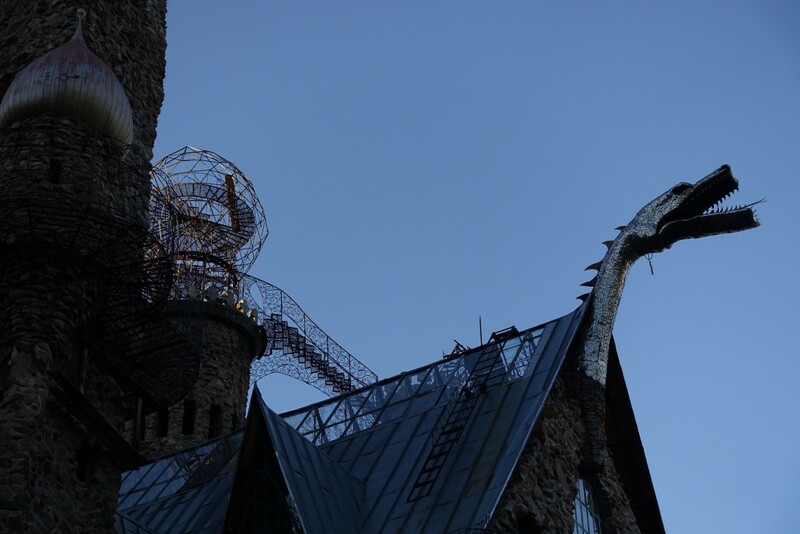 I’ve included pictures of the dragon, the gatehouse and the interior below. I have to say that this is an incredibly impressive structure, particularly for a single person to have built. It was originally self-funded, but he also takes donations. Never mind the legality, and the ignoring of any laws written in the last few hundred years by, last time I checked, a representative government, I have to say that I would rather that there was some form of test to make sure people actually know what they are doing before being set free on the highway. Guess that qualifies me for the ranks of the sheeple! The gatehouse at Bishop’s Castle. There is a heavy stone on the portcullis. However, you can currently just walk around the whole building. 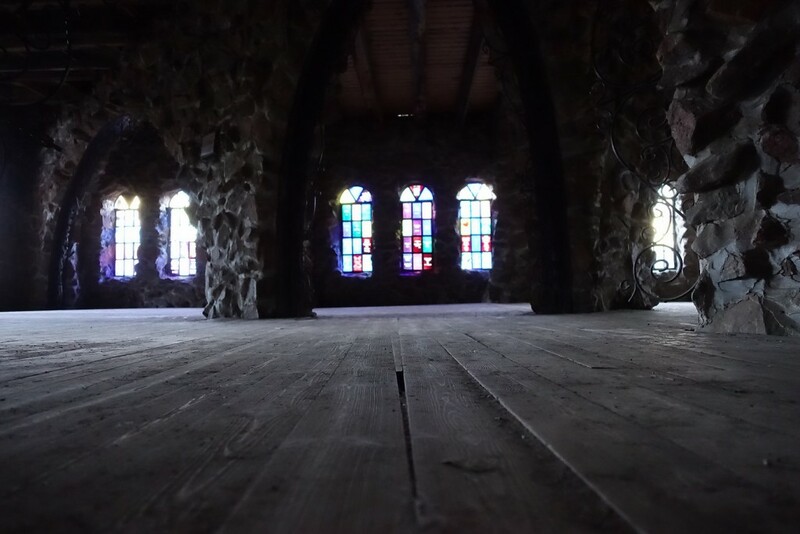 A shot from inside the castle. We didn’t make the climb up the winding stair to either of the towers since it was getting late and quite chilly, but we will hopefully get a chance to go back again when it is a bit warmer. 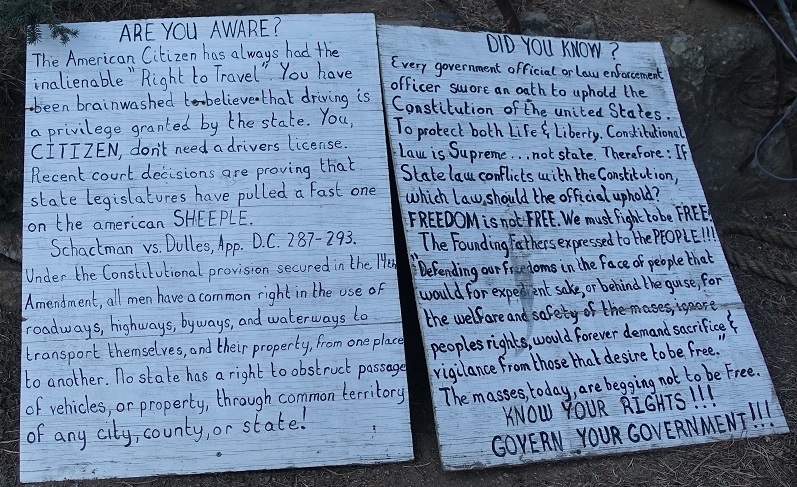 The structure is apparently open 24×7 year round for people to wander, with donation boxes spread around. It looks like they might also do events there.